Dhaka, 3 September, Abnews: The Cabinet on Monday approved in principle the draft of Bangladesh Labour Act (Amendment) Bill, 2018 with new facilities for workers and reduced punishment for them. 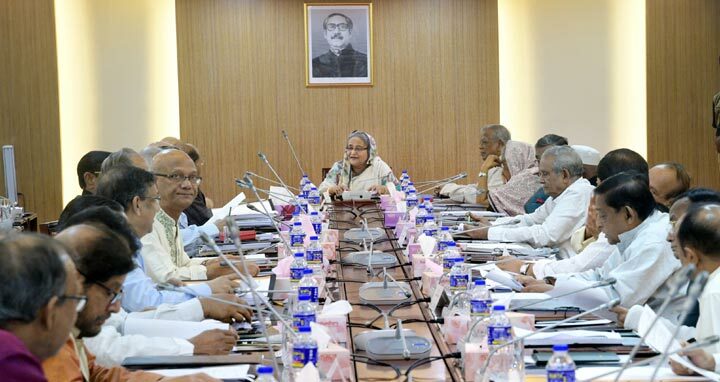 The approval was given at the weekly meeting of the Cabinet held at the secretariat with Prime Minister Sheikh Hasina in the chair, said Cabinet Secretary Md Shafiul Alam. The draft bill has been prepared and updated following the observation of the International Labour Organization (ILO). “The amended law will be a labour-friendly one,” said the Cabinet Secretary. In the draft bill, the punishment of workers has been reduced by 50 percent while new facilities included for them.